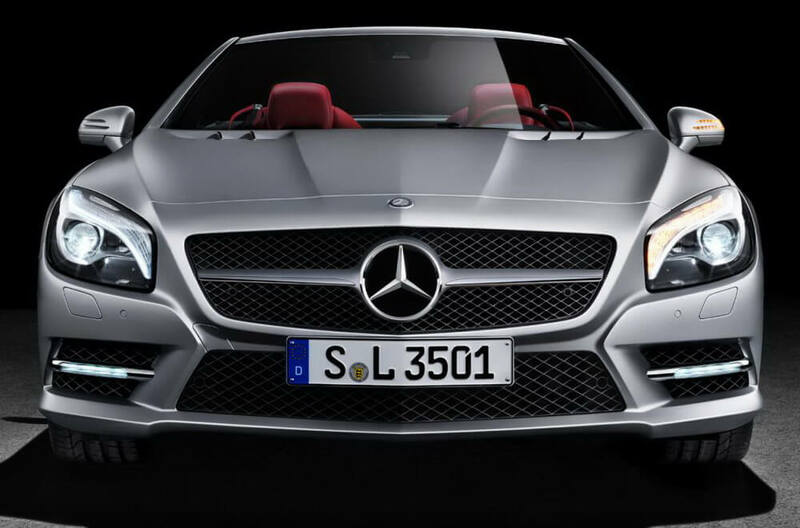 The 2013 Mercedes-Benz SL-Class is a two-seat convertible with retractable hardtop that offers a high dose of luxury, as well as great performance and comfort. The SL is now at its sixth generation and it is more powerful and more agile than ever. The Mercedes-Benz SL-Class is all new for 2013 and competes on the market with Porsche 911, Jaguar XK, Bentley Continental, BMW Z4 and Audi R8 Spyder. The 2013 Mercedes-Benz SL-Class (S for Sport and L for Lightweight) is an elegant sports car that is available in SL550, SL63 AMG and SL65 AMG trims. The 2013 SL550 comes standard with 18-inch wheels, LED running lights, a driver-selectable adaptive suspension, active bi-xenon headlights, dual-zone automatic climate control, sun-reflective leather upholstery, automatic high-beams, 12-way power seats, a power tilt-and-telescoping steering wheel with shift paddles, auto-dimming mirrors, a power trunk lid, Bluetooth connectivity, a navigation system and a 10-speaker Harman Kardon sound system with a six-CD/DVD changer and an iPod/USB interface. The available options for SL550 include 19-inch wheels, upgraded brakes, a sport steering wheel, keyless entry, keyless ignition, ventilated seats and a glass roof panel with adjustable transparency. The high-performance 2013 Mercedes-Benz SL63 AMG features a more powerful engine, 19-inch wheels specially designed and various AMG-tuned components (suspension, brakes, exhaust, new radiator grille, side sill panels, rear AMG spoiler). 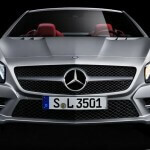 The 2013 SL65 AMG is almost similar to SL63AMG but has a more powerful engine and some exterior and interior updates. 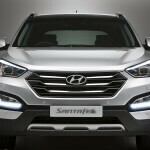 The all-new 2013 Hyundai Santa Fe is a seven- or six-passenger SUV that has a lots of features, well-designed and spacious interior, an attractive looks and a a good attitude on any kind of road. 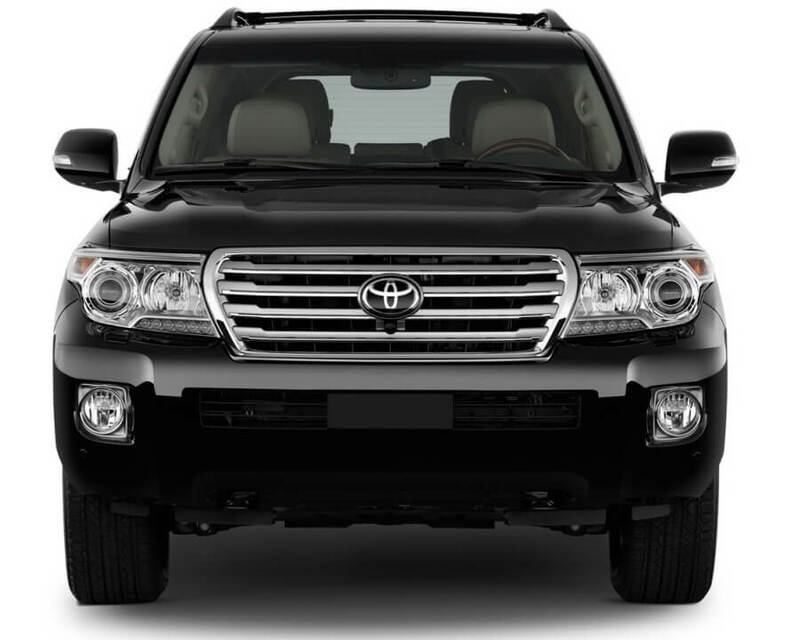 The 2013 Hyundai Santa Fe competes with Ford Escape, Chevrolet Equinox, Kia Sorento and Honda CR-V. The 2013 Santa Fe is available in two body styles: a six-seat model, named Santa Fe Sport, and a seven-seat stretched-wheelbase (with 8.5 inches longer) model named Santa Fe. The Santa Fe comes in GLS and Limited trim levels while the smaller Santa Fe sport comes in base and 2.0T trim levels. The 2013 Santa Fe Sport base comes standard with 17-inch alloy wheels, cruise control, a rear spoiler, full power accesories, a trip computer, a tilt-and-telescoping steering wheel, air conditioning, cloth upholstery, 40/20/40 split-folding rear seats, Bluetooth connectivity and a 6-speaker sound system with CD player and iPod/USB interface. 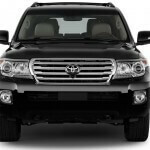 The Popular Equipment package adds foglights, automatic headlights, heated mirrors, heated front seats, roof rack rails, a leather-wrapped steering wheel and an eight-way power driver seat. The Santa Fe Sport 2.0T adds at all of the above a more powerful engine, keyless ignition, keyless entry and 19-inch wheels. 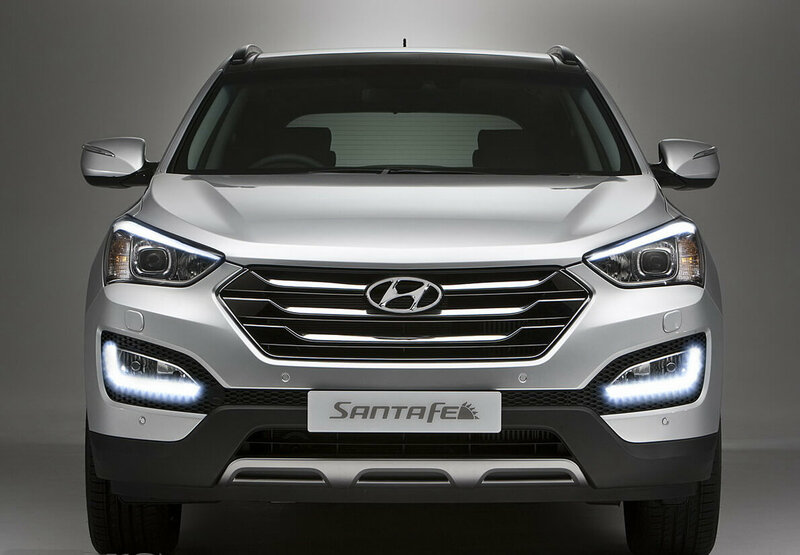 The 2013 Santa Fe GLS is similar with the Santa Fe Sport base (except for dimensions) and adds a V6 engine, 18-inch wheels, 50/50 split-folding third-row seats and foglights. The 2013 Subaru BRZ is an all-new model. This new car from Subaru is a rear-wheel-drive sports coupe that is designed and engineered together with Toyota (the BRZ shares its drivetrain with Scion FR-S) and delivers handling precision and an unmatched driving experience for sports car enthusiasts of all skill levels. The 2013 BRZ (B is for Boxer engine, R is for rear-wheel drive and Z…because it is ultimate letter!) is the first Subaru with rear-wheel drive sold in the US since 1997. 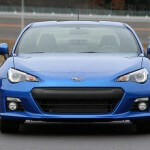 The 2013 Subaru BRZ competes with Mazda Miata, Hyundai Genesis coupe and Ford Mustang. The 2013 Subaru BRZ is designed with the fundamental characteristics of a sports car in mind: a powerful engine, precision steering, an ultra-low center of gravity and low vehicle weight. 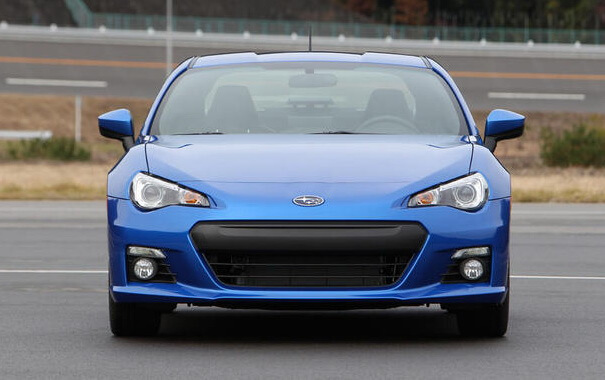 The result is that BRZ is a sports car with practicality as well as performance. Using a large proportion of high-tensile steel, with aluminum for the hood, the all-new 2013 Subaru BRZ is the lightest closed rear-wheel drive sports in the U.S. market today. The four-seat compact coupe Subaru BRZ 2013 is available in two trim levels: Premium and Limited. The 2013 Subaru BRZ Premium comes standard with 17-inch alloy wheels, automatic bi-xenon headlights, a limited-slip rear differential, LED running lights, keyless entry, air conditioning, cruise control, full power accesories, a height-adjustable driver seat, a tilt-and-telescoping leather-wrapped steering wheel, a fold-down rear seatback, a touchscreen interface, voice controls, a navigation system, Bluetooth connectivity and an 8-speaker sound system with a CD player and iPod/USB interface.